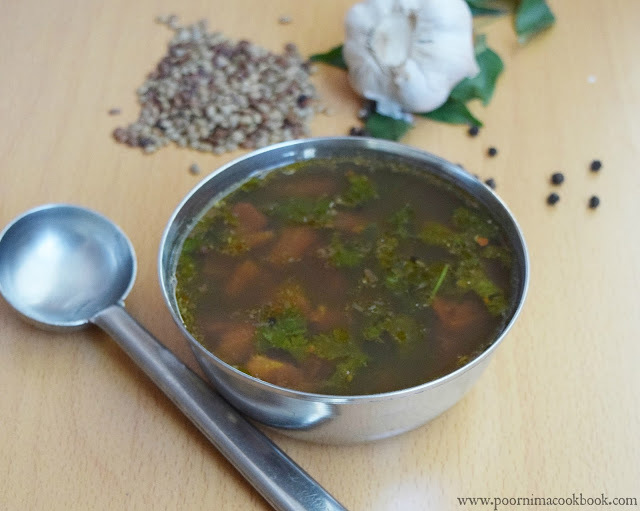 Rasam / South Indian spicy soup is a tasty and easy to make dish, which is usually served along with hot rice; paired with any poriyal / veg stir fry. In this recipe I have included nutritious legume, Kollu / Horse gram to improve the nutritive value and keeping in mind of its natural ability to generate heat in our body that is helpful in treating cold, make it perfect for this winter season! Horse gram is known as Hurule in Kannada, Kollu in Tamil, Kulthi in Hindi, Ulavalu in Telugu and Muthira in Malayalam. Try this to include this healthy legume in your diet for healthy living! Pressure cook horse gram adding little salt and nearly 3 cups of water for 3 or 4 whistles or until it becomes soft. 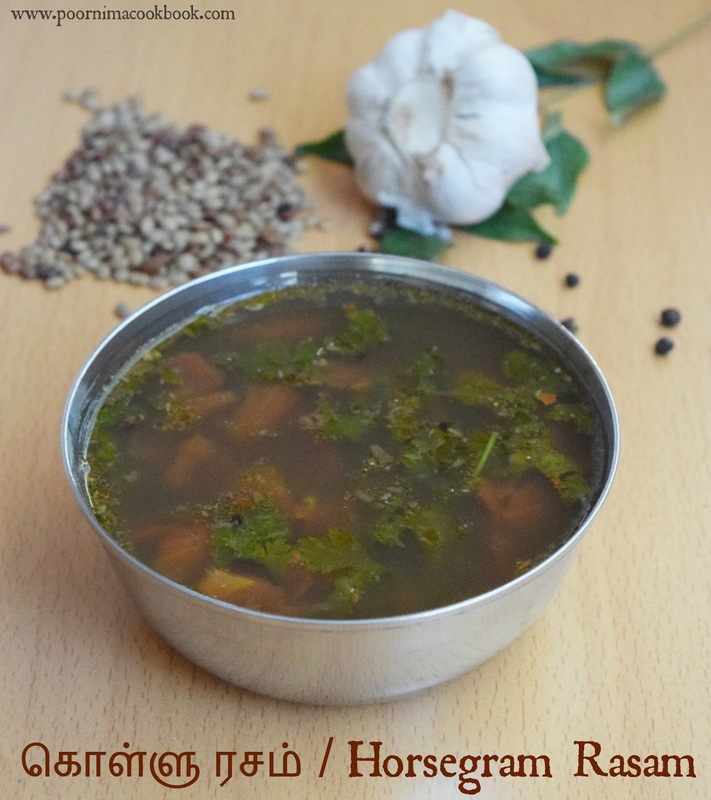 Drain the excess water and keep aside (In this recipe, we are going to use this water only for preparing rasam). Take one or 2 tbsp of kollu and grind it coarsely using mixie. Keep aside. 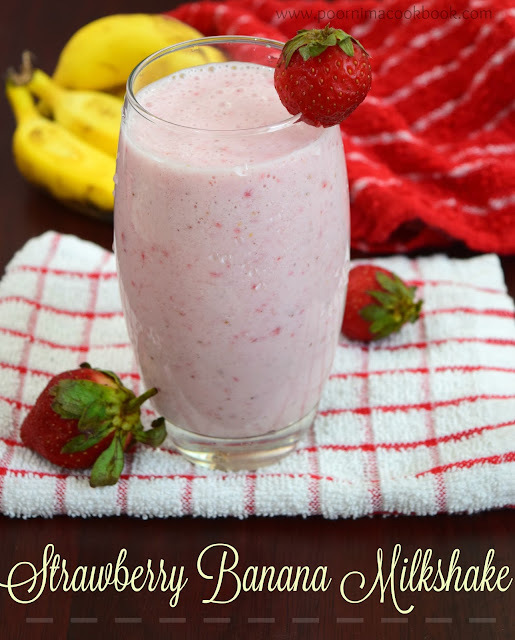 Add the ingredients given under "To grind" in the mixie and grind it coarsely without adding water. Take a bowl; add chopped tomatoes, corriander leaves, curry leaves, grounded spice paste, coarsely ground kollu, tamarind extract and salt. Mash the tomatoes well using fingers. Heat oil in a kadai; season it with mustard seeds and asafoetida. 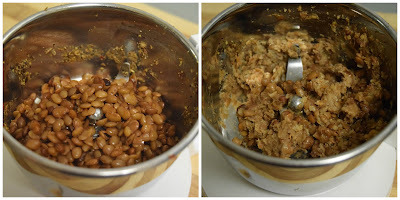 Once it crackles; add the prepared tomato and kollu mixture; allow to cook in medium flame. 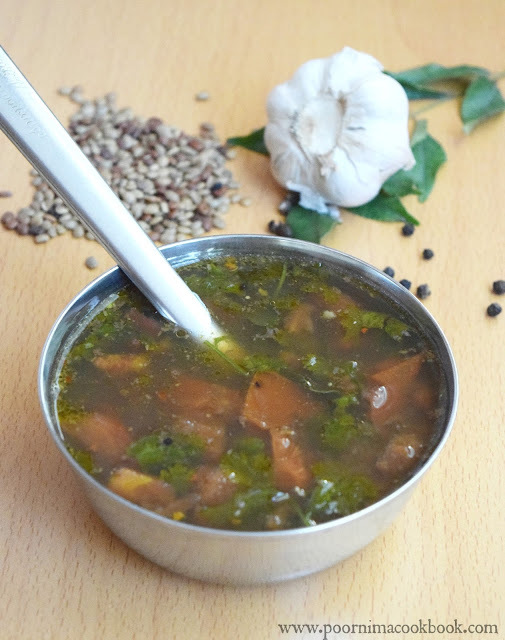 Transfer into a suitable container and serve hot with rice paired with any kootu , poriyal (stir fry) or even with pappad it will taste awesome. Excess kollu / horse gram can be used to prepare Kollu Sundal / Horse Gram Sundal. 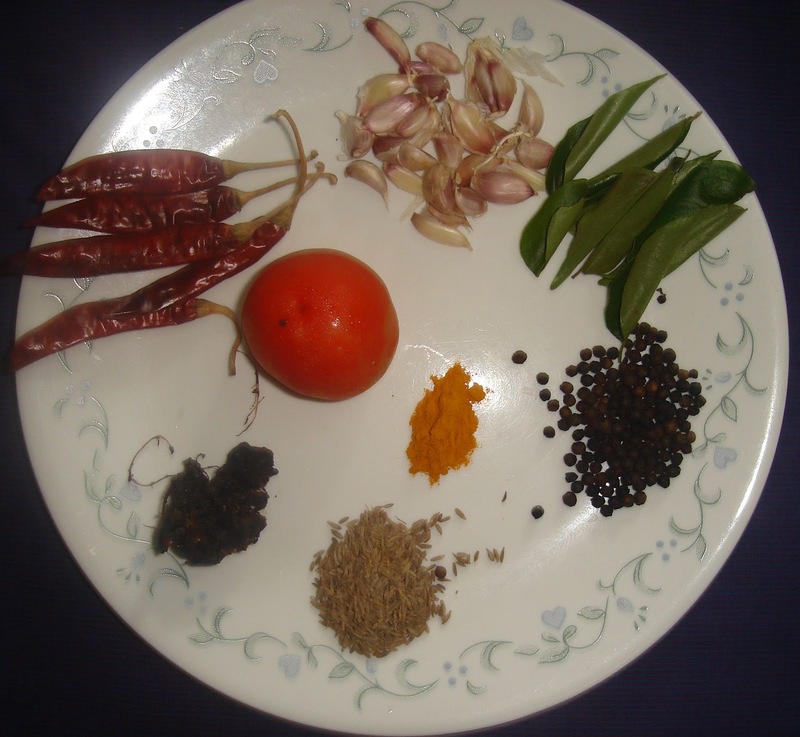 You can also grind the tomatoes and add it to the rasam. Addition of ghee (clarified butter) while serving will enhance the taste of this dish. This is optional. 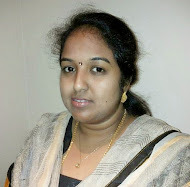 Rasam?? Definitely. No second thoughts about it.